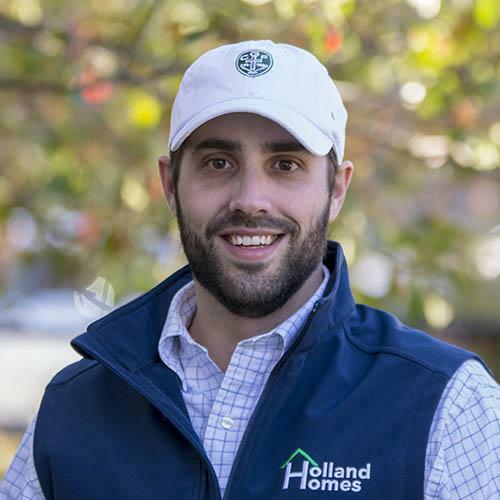 Meet the people behind Holland Homes. 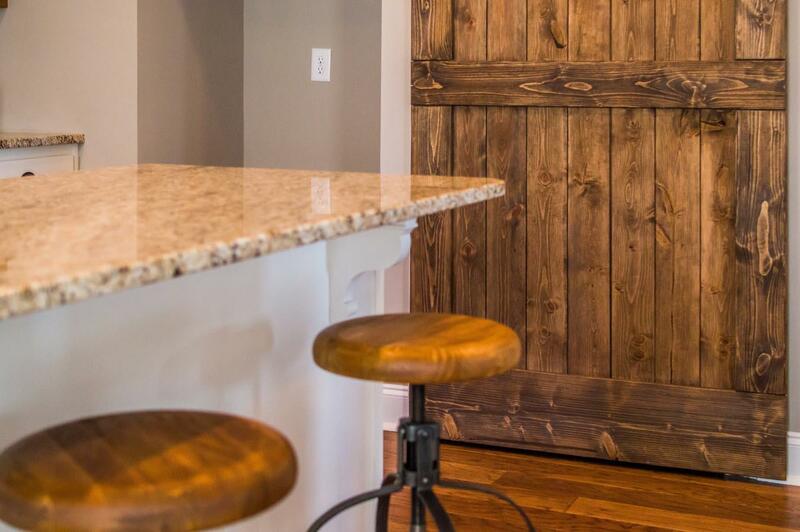 Our hard-working team is dedicated to improving your home, and these are the people who help make Holland Homes the perfect choice for your next project. 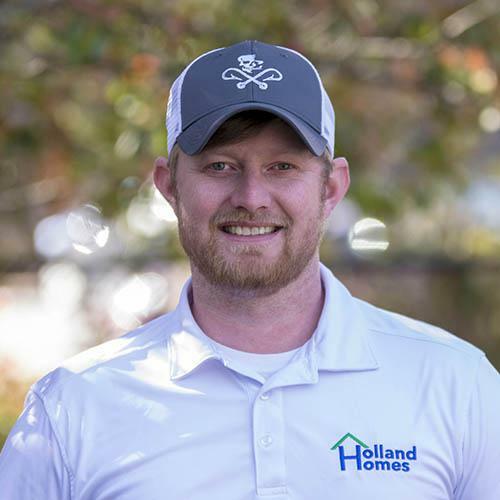 Daniel Holland grew up in Springville, Alabama and has been in the building industry for 11 years. 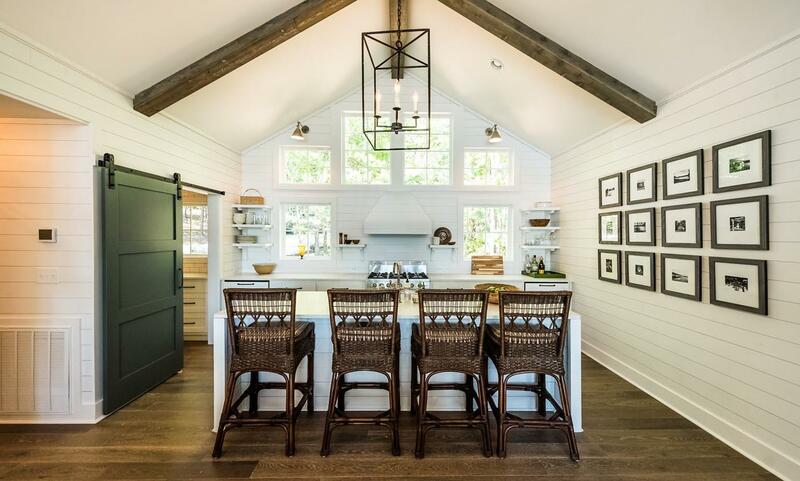 His passion for building began at a young age after growing up around residential construction. Daniel is a graduate of Auburn University’s Building Science program. He has been married to his wife for six years, and he loves to hunt, fish and golf. Robert Melvin grew up in Birmingham, Alabama and has been in the building industry for 12 years. He is a graduate of Auburn University with a degree in Communication. Robert and his wife, Jessica, have been married for five years, and they have two young daughters, Abigail and Amelia, as well as an old dog named Dixie. He loves to hunt, golf and spend time with his family. Clay Messer grew up in Beauregard, Alabama, and is a graduate of Auburn University. 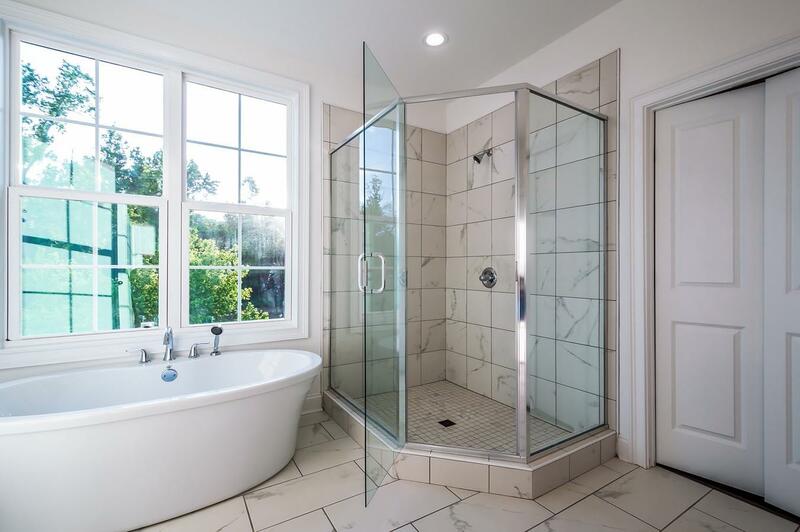 He grew up in the residential home repair and remodeling industry and now enjoys working for a company that genuinely cares about its customers and employees. Clay is married to Brentley and they have two wonderful children. When not at work, Clay enjoys bass fishing, golf and spending time outdoors. 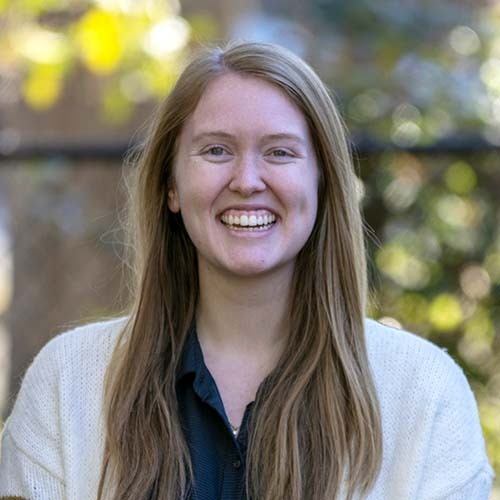 Bady Brown grew up in Ramer, Alabama and has been working in the building industry for a little over a year, but has grown up around construction through her family’s business. Bady is a graduate of Southern Union State Community College in Opelika, Alabama. She played basketball in college and enjoys photography. Kasey Youngblood grew up in Columbiana, Alabama. She moved to Auburn for university and graduated with a degree in Marketing. Kasey is brand new to the construction industry but has been around it her whole life as her dad and husband, Matt, both work in construction. She loves antiques, photography and her dog, Bentley. 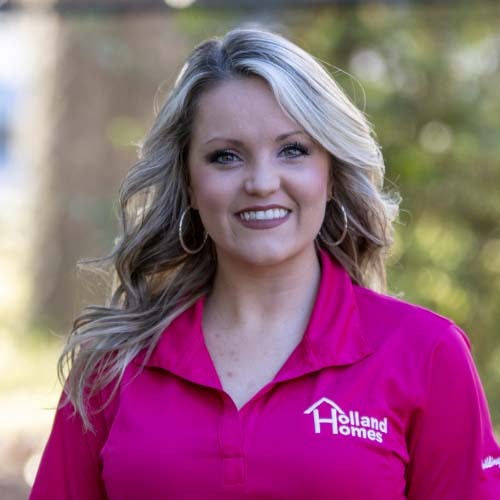 Kasey’s favorite thing about working for Holland Homes is seeing people’s dream homes brought to life. Alex Massingill grew up in Birmingham, Alabama and has been in the building industry for five years. He graduated from Auburn University and is married to his wife, Lauren. 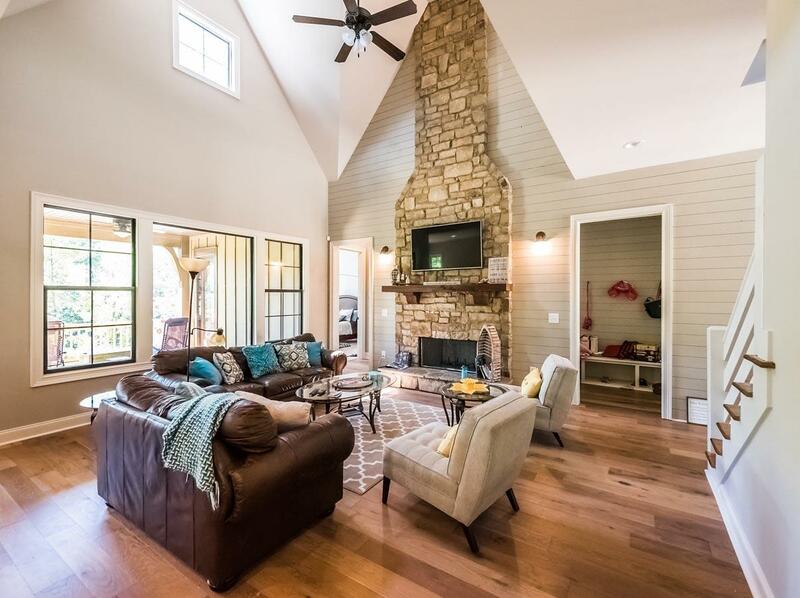 He loves living and working in his college town and the friendly atmosphere of Auburn. Jeremiah Bruce grew up in Lafayette, Alabama and has been in the building industry for 13 years. He is married, and he has four brothers and four sisters. Jeremiah loves being a part of the Auburn community. 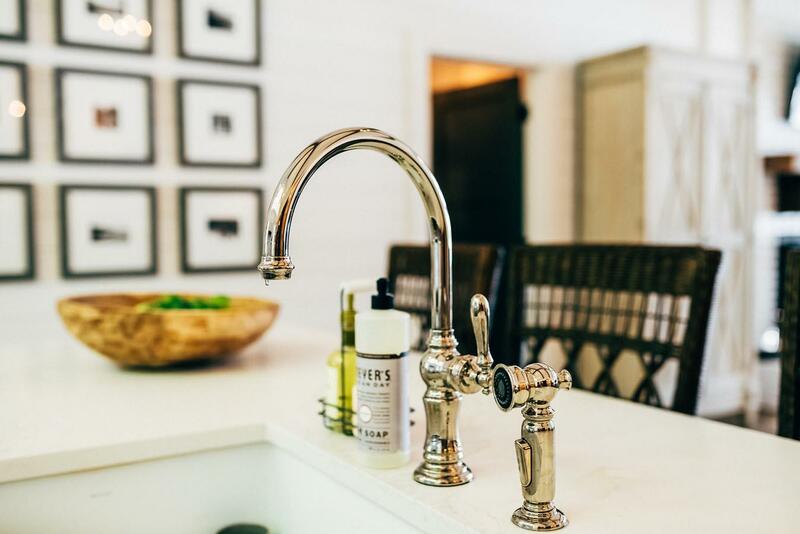 Mitchell Beers grew up in Vestavia Hills, Alabama and has been in the building industry for five years. He is a graduate of Auburn University. Mitchell loves to hunt and spend time on beautiful Lake Martin. Will Chappell grew up in Hartselle, Alabama and moved to Auburn in 2008 to go to university. 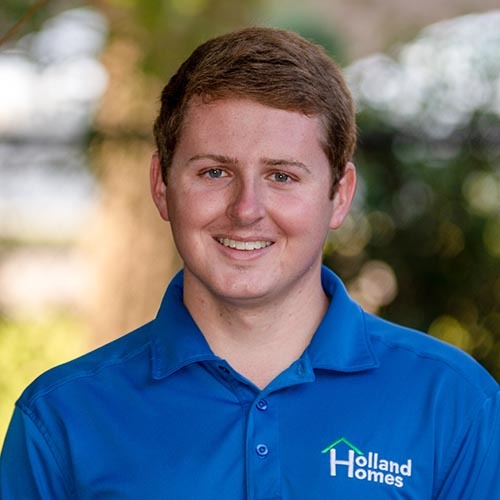 Will has been with Holland Homes for a year, previously teaching for lee county schools. He loves to work with different trades, learn new things and see builds come to fruition. Will and his wife, Dannah, have a daughter named Parker and two dogs - Stella and Cooper. When not at work, you will find Will doing activities outdoors! 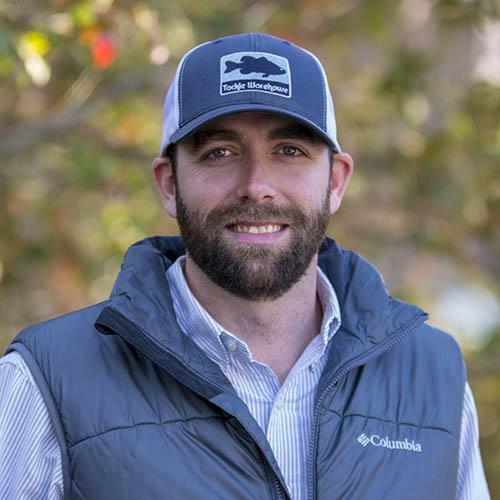 Chris Lowry grew up in Cullman, Alabama and has been in the building industry for 14 years. 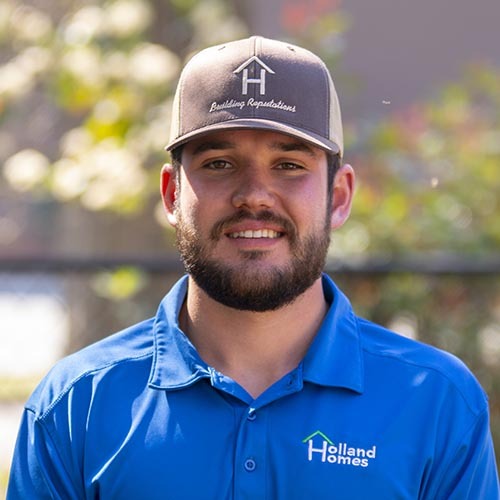 He loves working for Holland Homes because he has the chance to work with all different trades. Chris also enjoys the team and the positive, friendly atmosphere. Chris and his wife, Carmen, have a dog named Archer. When not at work, Chris enjoys fishing, hunting, golfing and of course - Auburn Football! 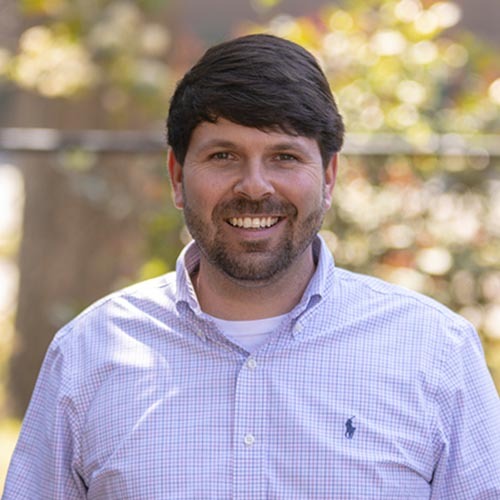 Andrew Holder grew up in Birmingham before moving to Auburn and graduating from Auburn University with a Building Science degree. 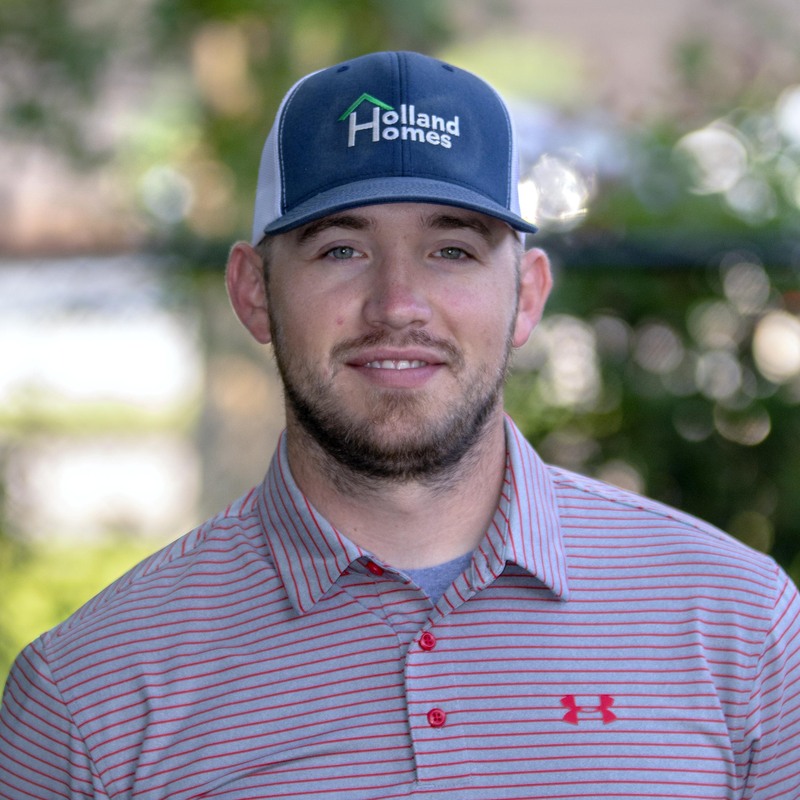 He’s been in the construction industry for seven years and enjoys being surrounded by Holland Homes coworkers who all continuously want to improve each day. Andrew has a Boykin Spaniel named Trigg and also enjoys hunting in his spare time. Fun fact, he has a twin sister who is six minutes older than him! 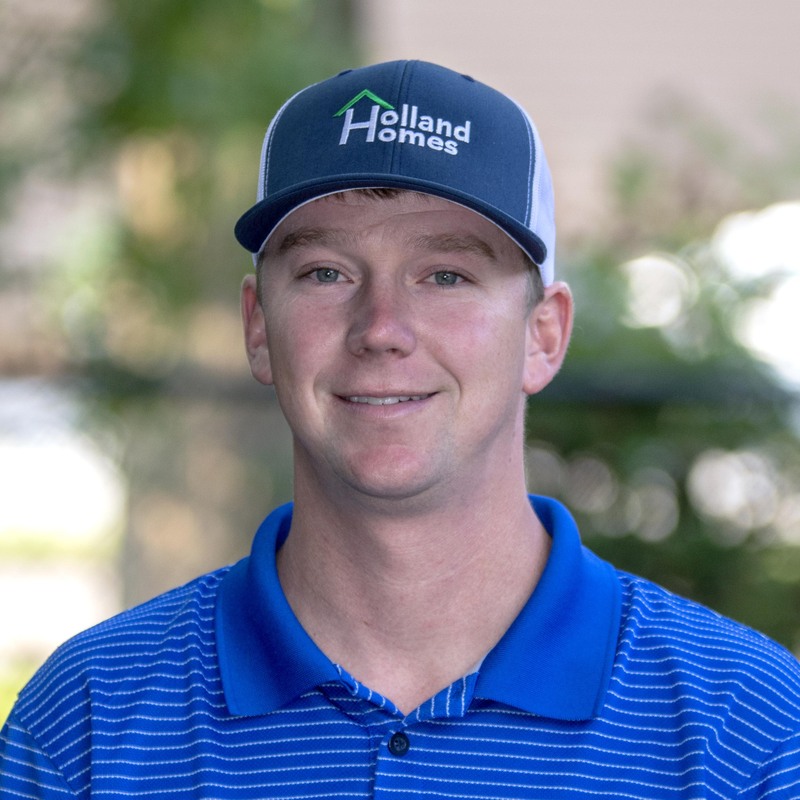 Jude Hosey has lived in Auburn his entire life and has grown up in the construction industry. 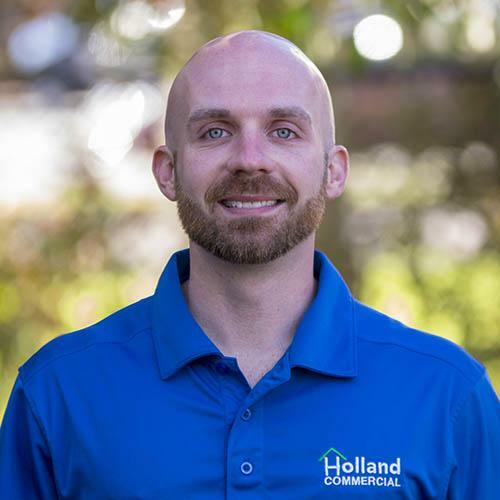 He loves meeting new customers at Holland Homes and striving to give them a great experience. When not at work, Jude is spending time with his girlfriend, Landon, and their labrador, Khloe. You may also see him fishing, hunting or working on his vehicles! Garrett Truett is a true local, growing up in Auburn and attending Auburn University. He has been in the building industry since he was 15 years old, working with his uncle each summer. All of Garrett’s family is also based in Auburn, along with his girlfriend, Sarah. He has a Golden Retriever named Easton. When not at work, he loves being active, going to the gym, park and lake! 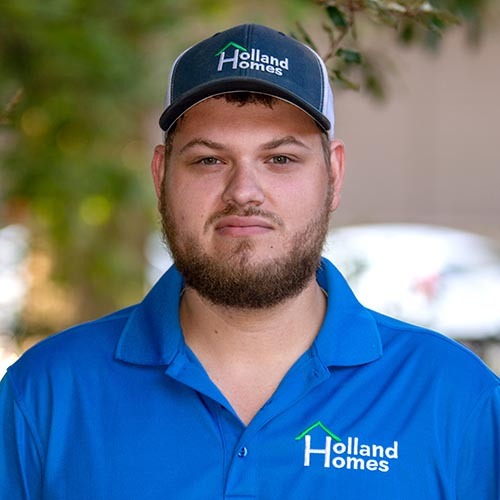 Garrett really enjoys Holland Homes because he works with lots of coworkers who are the same generation as him and he has the opportunity to be outdoors lots. 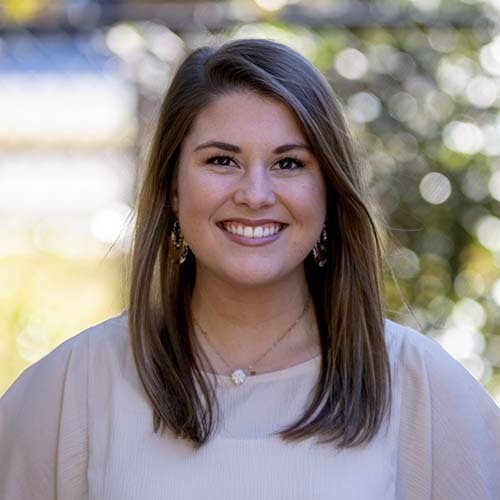 Hannah Walker grew up in Wedowee, Alabama, before heading to Auburn University to complete a degree in Finance. Hannah is brand new to the building industry, commencing work with Holland Homes in mid 2018. She is enjoying her time with the company and loves Daniel’s leadership among the team! Hannah has a boyfriend, Luke, a daughter, Emma, and two Siberian Huskies. 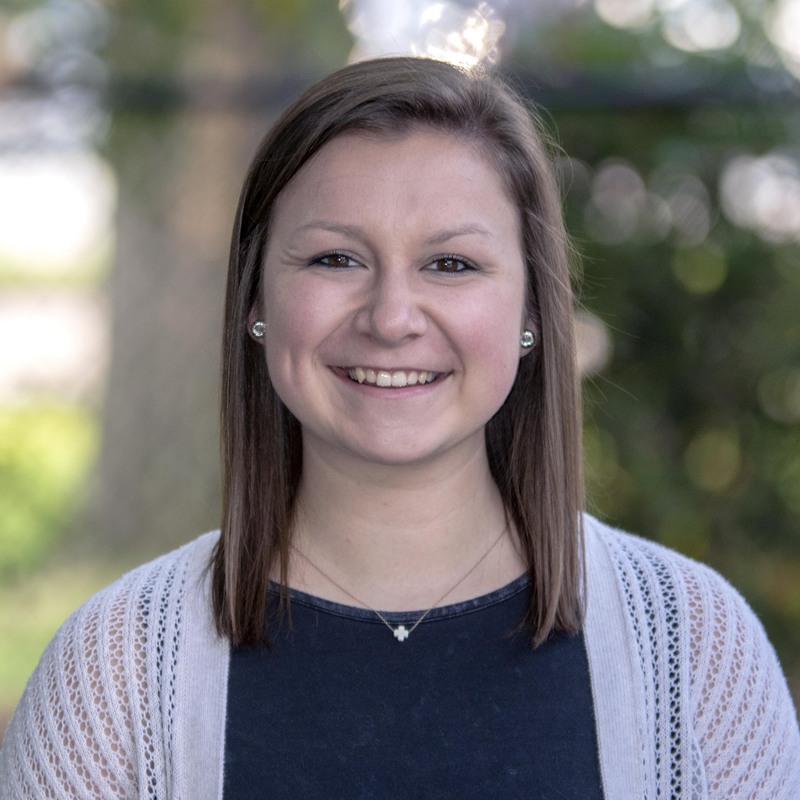 Hannah has two fun facts: she danced for 19 years of her life and weirdly, she loves using Excel! LC Nipper is new to the industry, Holland Homes is her first building and construction employer. She loves that her job challenges her and she is learning something new everyday. LC grew up in Uriah, Alabama and attended Auburn University. She is very close with her three sisters and is not an animal person, therefore doesn’t have any pets! When not at work, LC enjoys watching Netflix. Victoria Carboni is from Millbrook, Alabama and attended the best University in the country - Auburn University, obviously! Victoria is another employee new to the construction industry, having no prior experience in this area before starting work at Holland Homes. 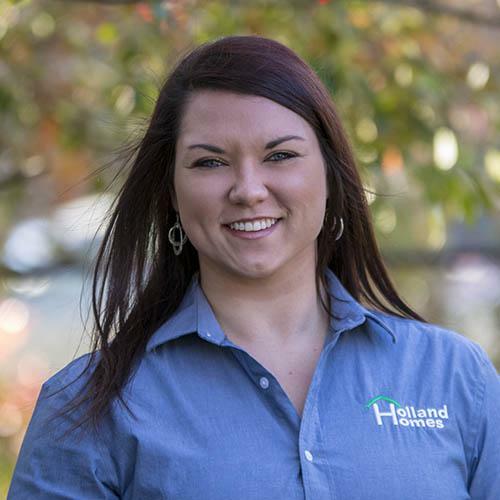 She loves that all the people at Holland Homes are not just coworkers, but have quickly become friends. Victoria is married to Trent, and they have a dog named Kane, and a cat named Paul Anka. Her favorite place to be is 30A and Victoria oftens likes to dabble in HTML code. Stewart Kaye is a local! He grew up in Auburn and attended Auburn University. 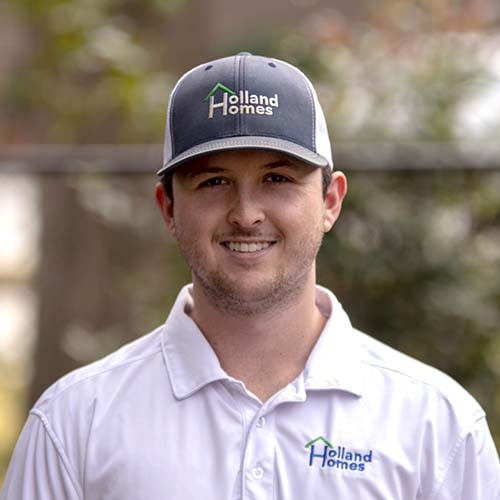 He’s been in the construction industry for a couple of years, since graduating from Building Science at Auburn University. He loves working with people and loves to see projects progress from start to finish. Stewart has two beloved bird dogs and loves hunting and spending time outdoors.